Order of Operations 1 Riddle Positive only. Add, Subt, Mult and Div only. Order of Operations 2 Riddle Positive only. Add, Subt, Mult and Div only. 18 problems. Order of Operations 3 Cross Number Positive only. Add, Subt, Mult and Div only. 16 problems. Order of Operations 4 Puzzle Positive only. 4 basic operations only. Students will cut out squares and refit into 5x5 square so that problems match up with answers. Order of Operations 5 Math Toon Positive only. Add, Subt, Mult and Div only. 15 problems. Pemdas 1 Magic Squares Positive only. Order of operations with parenthesis and exponents. 16 problems. Pemdas 2 Pair Share Positive only. Pair work. Student A solves one column, student B solves the other column. Answered correctly, answers will be equal. Pemdas 3 Scoreboard Positive only. Best as pair work where each student does half and meet in the middle. Pemdas 4 Droodle Positive only. Order of operations with parenthesis and exponents. 12 problems. Pemdas 5 Cross Number Positive only. Order of operations with parenthesis and exponents. 17 problems. Order of Operations 1 Rebus Up to 3 operations. No exponents or parenthesis. Order of Operations 2 Riddle Up to 3 operations. No exponents or parenthesis. 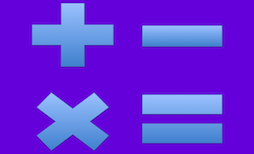 Order of Operations 3 Riddle Up to 4 operations. Includes exponents and parenthesis. Order of Operations 4 Rebus Up to 4 operations. Includes exponents and parenthesis. Order of Operations 5 Riddle Up to 4 operations. Includes exponents and parenthesis. Order of Operations 6 Pair-Share Some parenthesis and exponents. Answers match in each row. Use as partner activity or as self-check for individual work. Xtra Challenge 1 Puzzle Positive only. Students will use parenthesis on equations to make them true. Xtra Challenge 2 Puzzle With negative numbers. Math Squares. Use the digits 1-9 and the four basic operations to make each row and column equal the given number. Students fill in numbers. Xtra Challenge 3 Puzzle With negative numbers. Math Squares. Use the four basic operations to make each row and column equal the given number. Students fill in operators.